Hip design-hotel Hotel Be Angkor is a contemporary city crashpad with just three spacious rooms located slap bang in the heart of downtown Siem Reap. 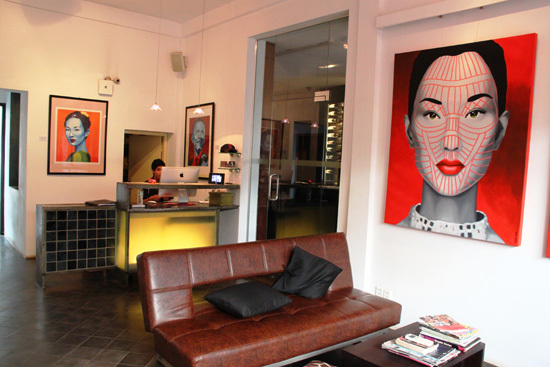 The pop-art lobby, shared with sister property The One Hotel Angkor which Hotel Be Angkor is an expansion of, sets the tone with its striking modern visuals adorning the walls. The lobby is now the home of the famous Linga Bar, which used to be on the opposite side of the lane. 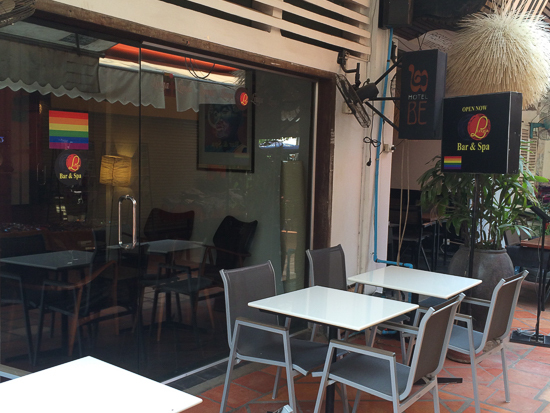 A converted narrow shophouse, the rooms are located on the second and third floors of the building, which you access through the lobby/Linga Bar. The lobby also accesses chic restaurant AHA, where guests take their breakfast in the mornings. The three quirky, creative chambers have been individually designed by three locally based artists. Internationally acclaimed Cambodian artist Sopheap Pich formed the Bamboo Room, one of the property’s two suites along with the Sepia Room, designed by renowned fine-art American photographer John McDermott. Locally based Filipino artist Loven Ramos, owner of The 1961 Co-working and Art Space, makes his mark on the Saffron Room. The Bamboo Room is spacious; rattan and bamboo sculptures alongside framed drawings add interest. The bathroom has an open concept – privacy is unlikely to be an issue since all three rooms are doubles, not twins. This property is best for those travelling in twos, not families. The hotel has an unusual floor plan – you won’t find uniform cubicles side by side. Similarly the Bamboo Room layout offers a more dynamic space with a twisting flight of stairs outside to reach the rooftop terrace. This private patio space goes some way to make up for the lack of swimming pool. Entering the Sepia Room you might double-take to check you’re in a bedroom, not an art studio lounge. 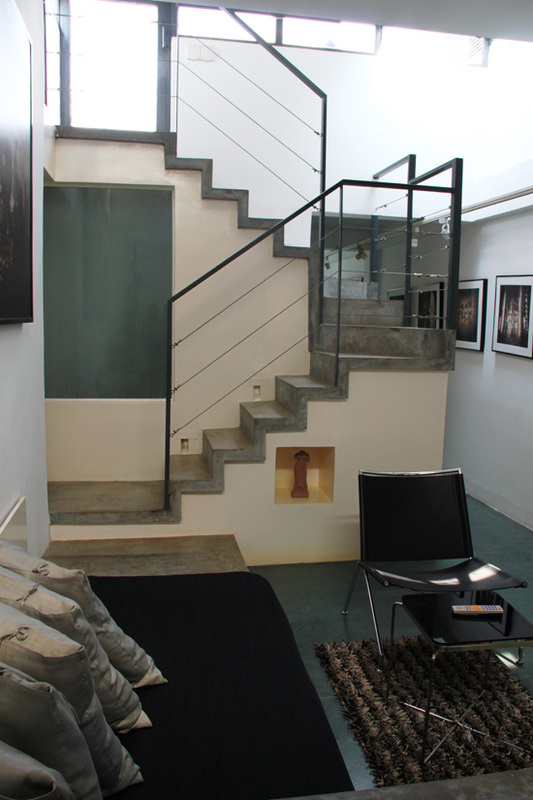 The sitting room is split from the boudoir by your own private, narrow art gallery. John McDermott’s art works are hung in his gallery next-door to the hotel but here you have your own exclusive showing. Art gallery meets bedroom in the Sepia Room. In addition to gorgeous design, the rooms come equipped with mini-bar, safety box, and iPod and CD/DVD player. If you book through the hotel’s website, John’s photography tour services can also be bought packaged with the room. 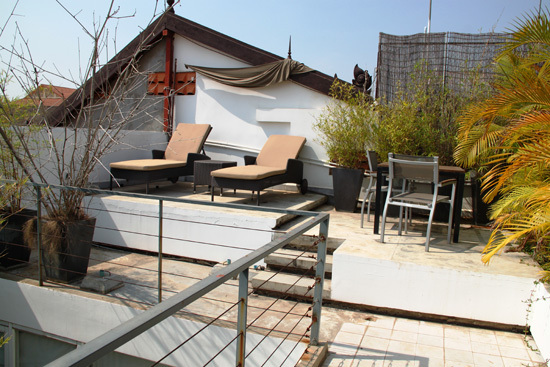 Like the Bamboo Room, up a flight of stairs you have your own roof terrace in addition to the small balcony overlooking the heart of the nightlife area of Siem Reap. Tired muscles from temple bashing can be soothed out in the men-only spa on the second floor at incredibly reasonable prices. A 60-minute oil massage, for example, is $20. Noise may be a potential issue but this property would most appeal to design-savvy night-owls looking to take advantage of the excellent location in the centre of Siem Reap’s nightlife area. 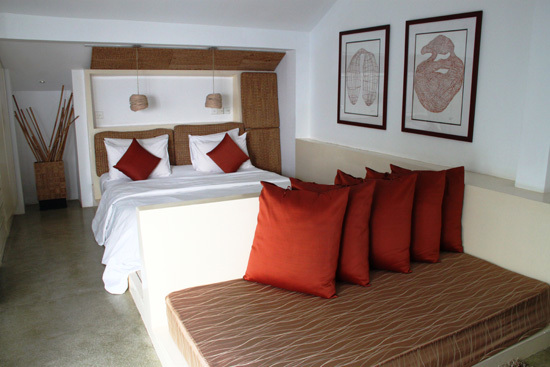 Room: Standard double room, low season: US$100, high season US$100. Notes: And up. Includes breakfast.